Every child should have access to an education that works. 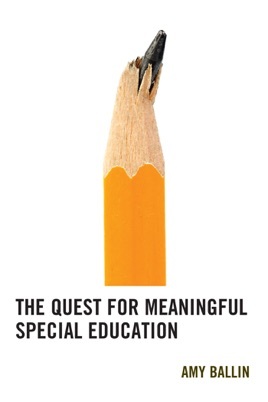 The Quest for a Meaningful Special Education follows the educational journeys of nine students with a language-based learning disability (LBLD) who were removed from a debilitating learning situation and enrolled in a school designed to address their particular learning needs. Through following their journeys, the book explores the role of cultures within and outside the school and examines some of the ways that the construction of special education has affected student learning.